Liz and Luca Holloway considered themselves happily married. They had all the trappings a married couple should. They easily brought a smile to each other’s faces. And they had gotten very good at pretending they never noticed their friends’ and families’ less than enthusiastic support or each other’s flaws. “Mmm,” began Liz, pretending to give it real thought, “You could put on more clothes, or I could take mine off. I can’t decide what we should do,” she said with a wink, pretending to be coy. Luca really enjoyed this version of Liz. 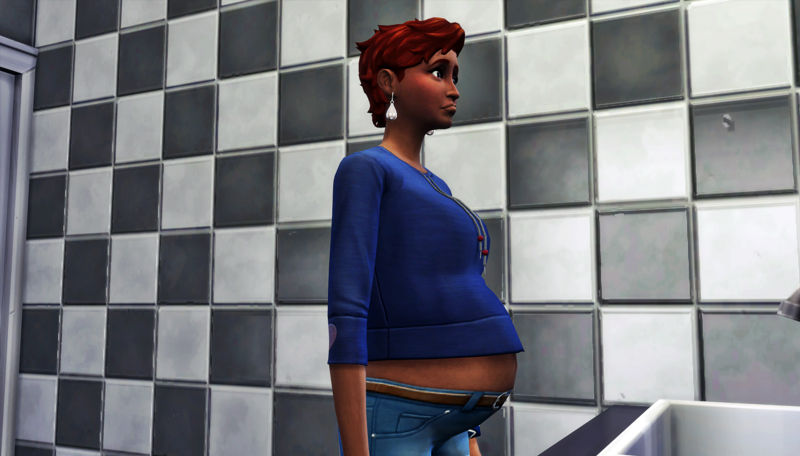 Being pregnant, she wanted woohoo all the time. Also, her athletic body meant she wasn’t showing yet. Some women looked ready for delivery as soon as they got pregnant, but not his Liz. It wasn’t until she was really close to her due date did she finally pop. And thanks to the fact that she was carrying twins, she really popped. 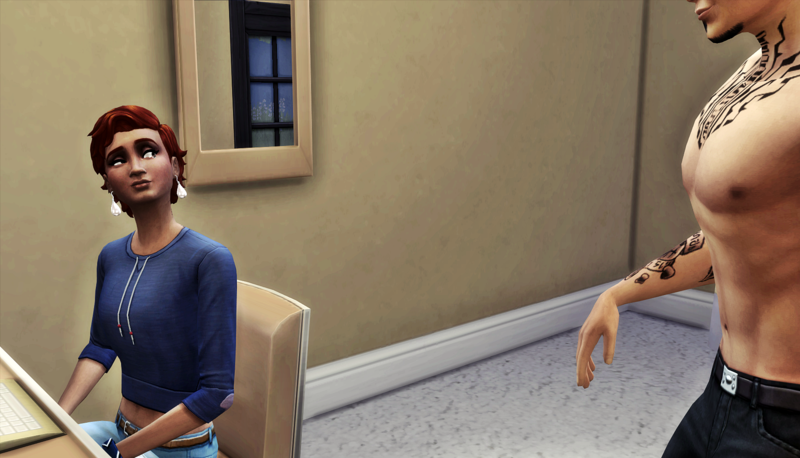 The discomfort she experienced almost constantly really put a damper on their woohoo life. Luca didn’t like it, but he told himself it wouldn’t last long. 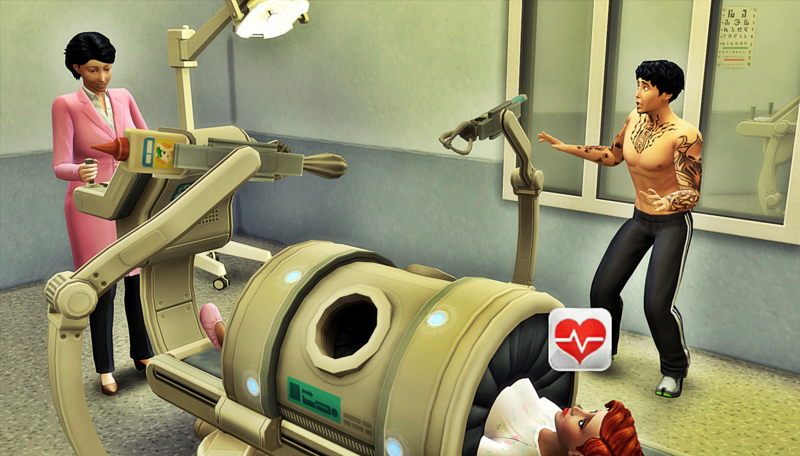 When Liz finally went into labor, Luca was so happy. Soon the babies would be born, and he could get his pleasant wife back. Liz had a different point of view. She was still worried about childbirth after talking to Carmen, and she wasn’t looking forward to trying to raise twins. She had doubts about her natural mothering skills and she really had doubts about Luca’s fathering skills. But that’s what you did when you got married, right? You had babies. So here they were, about to be parents. Luca knew the doctor who delivered all the babies in town. It was Dr. Aadhya Villareal. She was married to Luna Villareal, Hugo’s sister. Luca didn’t realize she’d come back from maternity leave already, and freaked out for a moment before covering it as pre-parental anxiety. He had slept with Dr. Villareal’s wife Luna for secret petty revenge. He never told anyone about it, and he couldn’t think of any good reason why she would be foolish enough to confess her indiscretion to her wife. Plus, Dr. Villareal seemed not to know him or even have heard of him outside of his affiliation with the Counsel Council. So he calmed down and enjoyed watching his children enter the world. Luca and Liz decided to name the babies Logan and Lara. They thought their babies were perfect, as all new parents seem to. 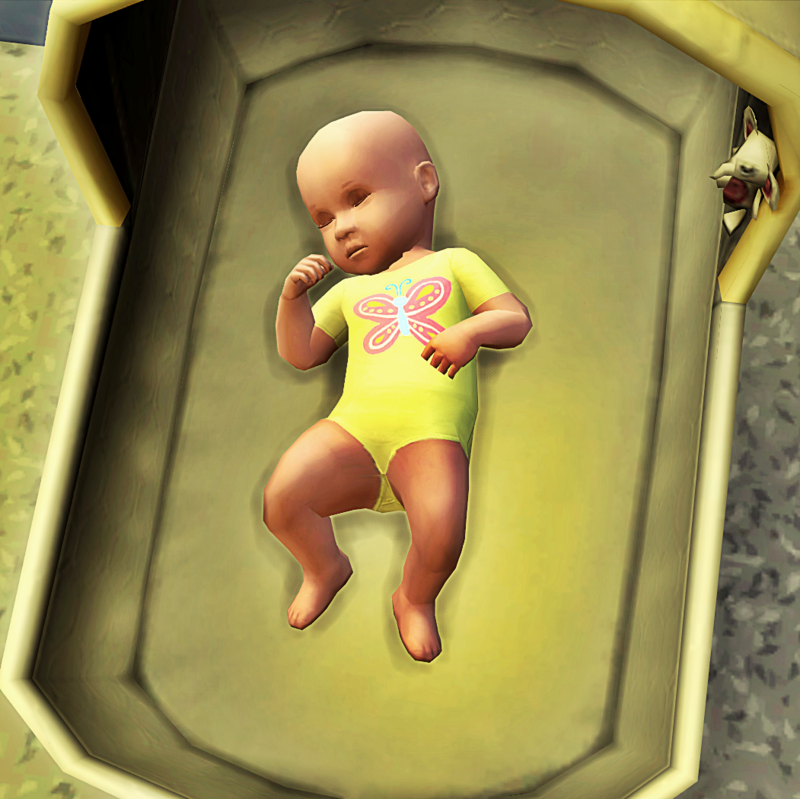 When they brought the babies home, they placed their bassinets in Daniella’s old room. They knew a remodel was needed, but with brand new infants, that just wasn’t an option yet. Without even realizing they were doing it, Luca and Liz started spending most of their time in the twins’ room. Even when Luca wasn’t needed because Liz was breastfeeding, he’d find something to do on the computer. And when Liz went to work (she had no desire to take maternity leave), he would step in with bottle feedings. In those moments, Luca knew he was the best father ever. After attending to the twins, he returned to the computer. He spent a lot of time trolling teh forums. Keeping his mischief skill up was essential to career advancement. As soon as he logged in, his phone rang. Luca answered the phone, and a smile spread across his face as the conversation continued. When Liz arrived home from work, she knew where to find Luca. She found him sitting at the computer, chatting online as usual. Liz appreciated the kind gesture, but it was a bit out of character for Luca. “What’s going on? “How was your day love?” Luca was glad Liz was in a good mood. Ever since she fought for her promotion, she’d been advancing steadily at work, so she was usually happy when she arrived home. “I took care of these two, and I talked to my father,” said Luca. 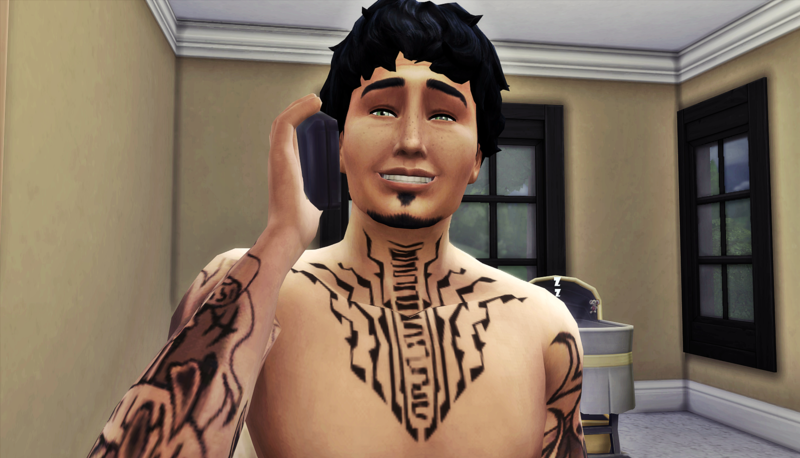 Oh, Luca’s father…For some reason, I just imagine someone like the leader of the mafia crew from ”The godfather” to show up…Anyway, Luca has changed so much since the story began! For better, that is..Liz, is, well, Liz, but, at least she seems to have realized that she is *not* on a fairy tail, and is finally seeing reality. And yay(?) for more babies! Too many babies! I mean yay for the parents, but it’s hard as their watcher! But yes, Luca has evolved. When we first met him, he would’ve responded to his father with something like, “yes Babbo, I’ve laid down the law, she’s knows what she has to do to keep me interested.” Or something similarly smarmy, lol. Woooh! Daddy’s coming to town! 😀 Can’t wait for that! He changes one diaper and he thinks he’s father of the year, lol. But yeah, Luca definitely attended well to the infants. Wow…I think that’s the first legit, rational thought I’ve ever seen from her LOL. Liz, my dear! Have you not so positive thoughts about your marriage that are slowly seeping out? *hands a bowl of popcorn* Please, do tell! Don’t get used to legit and rational thoughts from her. The trauma of childbirth brought about a momentary clarity. Liz is a lot of things, loyal is one of them. You’re going to have to give her something stronger than popcorn to get her to talk. Oh no. It’s breeding! I really hope those twins grow up with more sense than their mother. Yeah, I laughed aloud too. I thought she was talking about Luca at first, then I realized she was talking about Liz! They have sensible influences in their lives. So it’s possible. Honestly, it’s their father’s influence that we should really be worried about. I’m starting to forget how twins can be fun, lol. 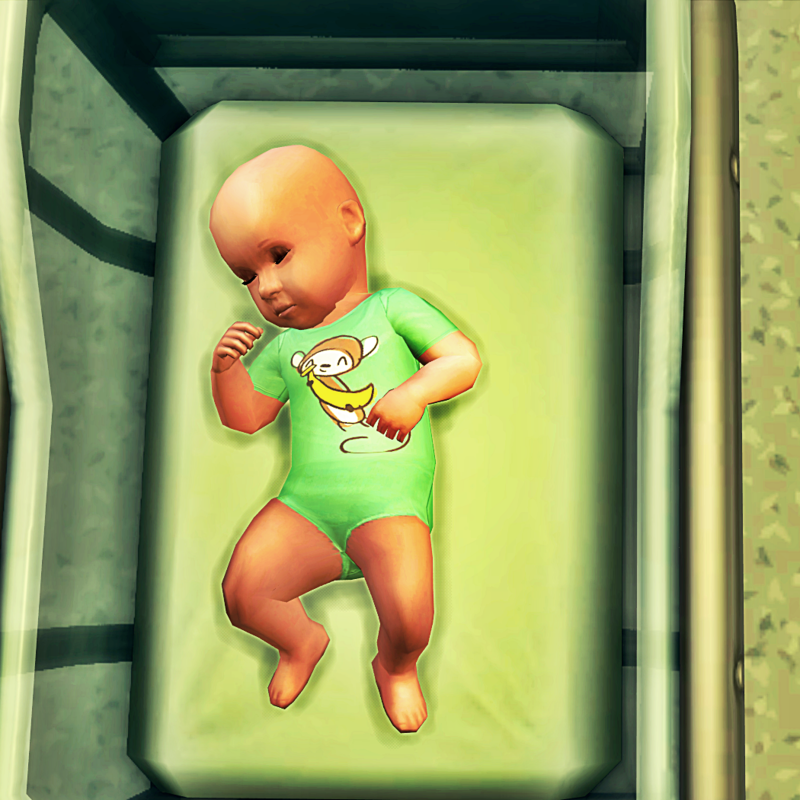 And I’m one of the people who was so ecstatic about toddlers getting added to the game, lol. Congratulations on the baby Ls ! Awwww, thanks! I hope they enjoy these two as babies because they’re not getting any more! Let’s just say, I have learned my lesson about the pregnancies. 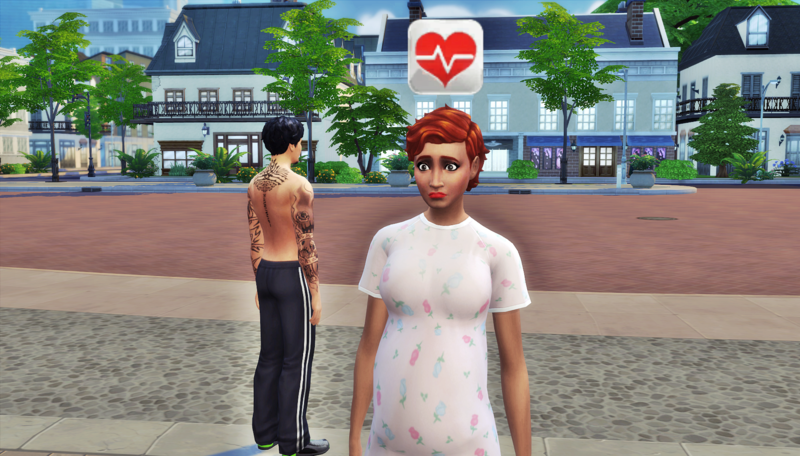 On MCCC, you know how there’s that option to look at the current pregnancy of a Sim, and potentially change it? Yeah, I didn’t do that. I thought, let chance be in charge! Whatever babies they get I’ll love! I wasn’t expecting multiples in literally every single house. Well, It’s never happening again, I tell you that much, haha. Everyone in the Counsel Council has gotten a vasectomy or tubal ligation, haha. After Robyn’s baby is born, there’ll be no more babies for a looooooooooong time.